The moon rises over Idyllwild California on Nov 1, 2017. Video runs at 3x real time. Craters are clearly visible. Shot through 60mm telescope using ZWO ASI224 camera. The moon looks surrealistic as it rises over Idyllwild California on Oct 30, 2017, with a mountaintop desertscape in the foreground. Video runs at 3x real time. Shot through 60mm telescope using ZWO ASI224 camera. Video of Jupiter on April 11, 2017. Jupiter can be seen coming in and out of focus due to atmospheric turbulence. The best frames from this video were used to make the composite image on the right. Shot through Celestron 9.25" SCT and ZWO ASI224 camera. 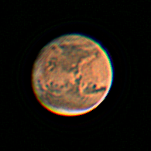 This video shows how Mars looked on June 16, 2016 just 25 days past opposition. Seeing was pretty steady and the disk shows lots of detail. The best frames from this video were used to create the composite image to the right. Celestron 9.25" SCT with Celestron Neximage 5MP camera. 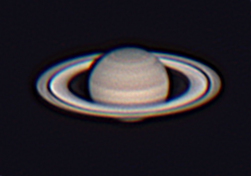 This video of Saturn was shot with a Celestron 9.25" SCT and Celestron NexImage 5MP camera. The best frames from the video were used to make the composite picture on the right. 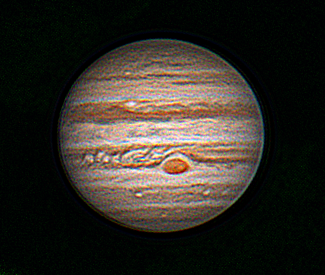 Video of Jupiter on March 16, 2016, just 8 days after opposition. 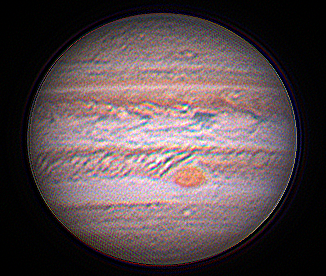 Jupiter can be seen coming in and out of focus due to atmospheric turbulence. The best frames from this video were used to make the composite image on the right. Shot through Celestron 9.25" SCT and Celestron NexImage 5MP camera. I shot this one sideways! 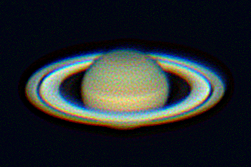 This video of Saturn was shot from Palomar Mountain, with a Celestron 9.25" SCT and Celestron NexImage 5MP camera. The best frames were combined to make the image to the right. 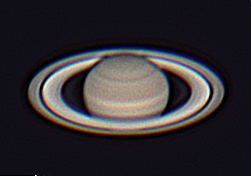 Saturn as it appeared from Palomar Mountain. Shot through my Celestron 9.25" SCT and Celestron NexImage 5MP camera. The best frames from this video were used to make the composite image to the right.